Nappy cakes make an adorable – and useful – alternative gift for new parents. And who could resist such a cute little creature? 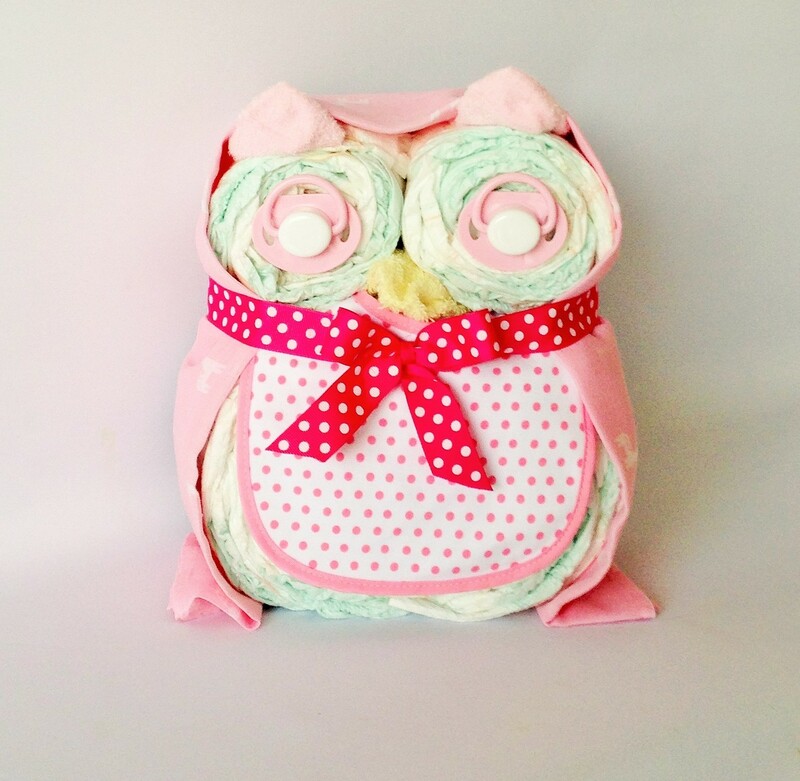 Lovingly crafted, Hootilda Owl contains 2 bibs, 1 face washer, 1 pair of socks, 1 muslin wrap, 2 dummies and 30 disposable nappies.